In our last newsletter we recalled the connection between the original goodness of creation and the true character of God on the one hand and the link between disorders in nature and the Original Sin and subsequent sins of mankind on the other. 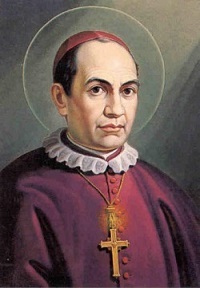 In this newsletter, I would like to recall a concrete example of a saint of modern times who clearly saw the connection between sin and disorders in nature – St. Anthony Mary Claret, the founder of the Claretian Fathers. The following account describes his prophetic response to disorders in nature, first in the form of an earthquake and then in the form of a deadly disease. The churches were still filled with debris. The stricken families had raised tents on the shores of the sea. They had also improvised a chapel under an immense covering. The pulpit was a platform and from it the holy archbishop preached a Mission. Thousands of persons listened to him. His voice was sweet and sincere, threatening and terrifying, announcing simple Gospel truths and striking prophecy. 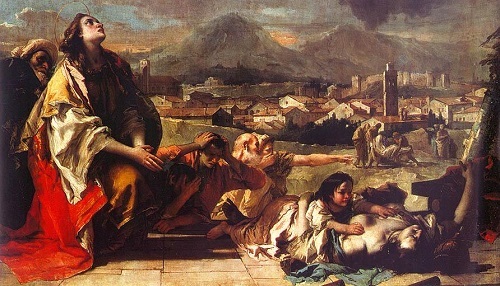 One day he made the following comparison: “God does with many of us as a mother does to a lazy sleeping child, she shakes the cot or bed so as to awaken him and cause him to arise. If that does not suffice, she whips him. These last words, pronounced with prophetic accent, frightened and moved the public, so that, amid sobs, they begged mercy and pardon of God. 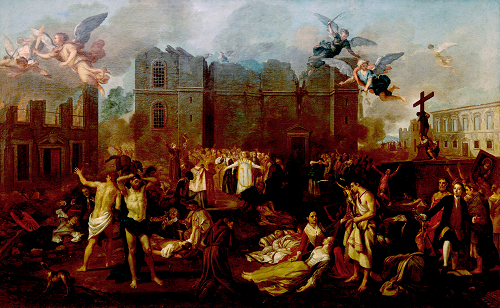 “Only one month had passed,” said an eyewitness, “since the archbishop had spoken inspired by Heaven, of the punishment of the cholera which threatened the city, when the terrible infirmity already raised its empire of terror and death. P.S. Please consider obtaining a set of DVDs or conference audio CDs from our recent leadership retreat at Conception Abbey in Missouri, so that you can give your family, friends and acquaintances a good defense of the traditional doctrine of creation, the foundation of our Faith, and expose the fatal flaws in the molecules-to-man evolutionary hypothesis in its theistic as well as its atheistic form. P.P.S. We are in need of additional donations to complete our DVD series “Foundations Restored.” If you would like to see a short video on the work in progress, please let me know and I will be happy to send it to you.